Individuals training for races, specifically longer ones such as marathons, commonly add supplements into their diet. Endurance athletes are more prone to joint or muscle injury and getting sick. There are various supplements runners can take in order to maintain joint and muscle health as well as immunity. Many runners experience joint pain as they prepare for a race. Below are the 10 best vitamins to help support runners joints. Keep in mind these suggestions are common vitamins that many runners take. Even though these are just vitamins, I would fully read the labels and have a quick conversation with your physician. Celadrin is a natural pain reliever and anti-inflammatory. It is a patented supplement made from a complex blend of fatty acids extracted from tallow trees. The purpose of the supplement is to promote flexibility and healthy joint function. Celadrin works by lubricating cell membranes throughout the body. In return, it restores fluids and cushions bones. With consistent intake over time, it reduces inflammation in order for surrounding tissues help create healthy joints. Celadrin comes in both oral and topical forms, and it starts to work after 30 minutes of use or ingestion. There are no reported side effects of this supplement. Other benefits include decrease knee discomfort, increased walking ability, and temporary relief of aches and pains. Unique lubricating action reduces inflammation & joint discomfort and promotes joint flexibility. Per WebMD, Chondroitin is a substance found in connective tissues. There are a few reasons why runners take chondroitin. One of its purposes is to create strong and elastic joints. It also helps with lubricating the joints to prevent cartilage damage. Since running is an extensive exercise, the supplement decreases the chance of stiffness from repetition or aging process. 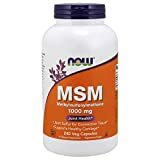 MSM stands for methylsulfonylmethane, and it's an organic sulfur. 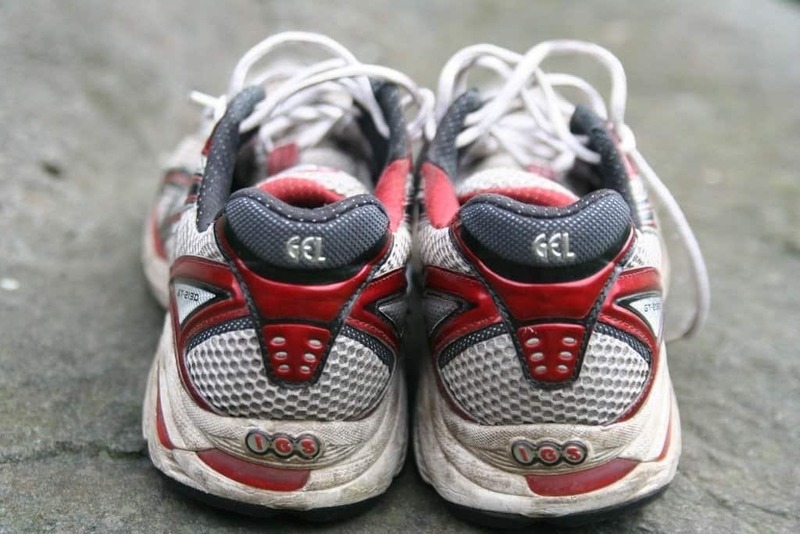 Runners find MSM beneficial for numerous reasons. The main reasons are it promotes healing and growth of tissues and repairs cartilage, especially after intensive exercise. Tissue and cartilage repair happens because MSM facilitates a flexible bond between proteins. MSM also reduces the need to take painkillers or other over-the-counter medications for joint and muscle pain. It also helps the body get used to stress from long runs and supplements the body with energy. 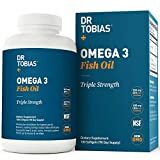 Omega-3 fatty acids are popular among runners because they reduce muscular inflammation after intensive exercise, especially with marathon training. These fatty acids are part of the polyunsaturated fats that are known to promote heart health, yet new studies show they are also good for joint pain. A dietician with the Northwestern Memorial Hospital Wellness Institute also discovered omega-3s reduces the chance of exercise-induced asthma. The anti-inflammatory nature of omega-3s clears the airways of inflammation. 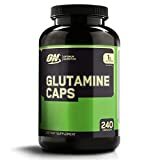 Glutamine is an amino-acid nutritional supplement that is favored by athletes. The purpose of the supplement is to recover quickly after workouts and prevent sickness. For marathon runners, these are the main benefits to take the supplement. The recovery comes from the promotion of muscle glycogen synthesis. Dr. Axe shares a ton of info on Glutamine including the additional benefits. Running too hard puts a runner at risk of overtraining. Overtrained athletes are typically low in glutamine, which means being more vulnerable to sickness. Magnesium is considered to be a vital mineral for runners, but not a lot of runners get enough magnesium. Magnesium is abundant in the body, and it can be found in bones as well as skeletal and cardiac muscles. 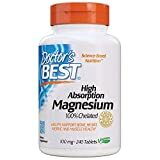 Deficiencies in magnesium result in reduced performance, lactic acid builds up, and poor recovery. Taking magnesium has many benefits. It helps turn glycogen into glucose, and glucose helps fuel the body during exercise. A lack of it turns an aerobic workout into anaerobic, which leads to the lactic acid build-up. Bone health is another benefit because magnesium helps with calcium absorption. 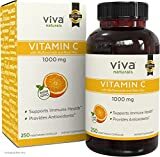 Vitamin C is an antioxidant that helps purge free radicals from running, and these free radicals come from environmental factors, like pollution. Vitamin C is widely found in oranges and orange juice. Vitamin C also aids in producing new protein for blood vessels, skin, tendons, ligaments, and scar tissue. It also maintains cartilage and bone tissues. Glucosamine is often taken hand-in-hand with Chondroitin. It is made of two compounds: glucose and glutamine (an amino acid). 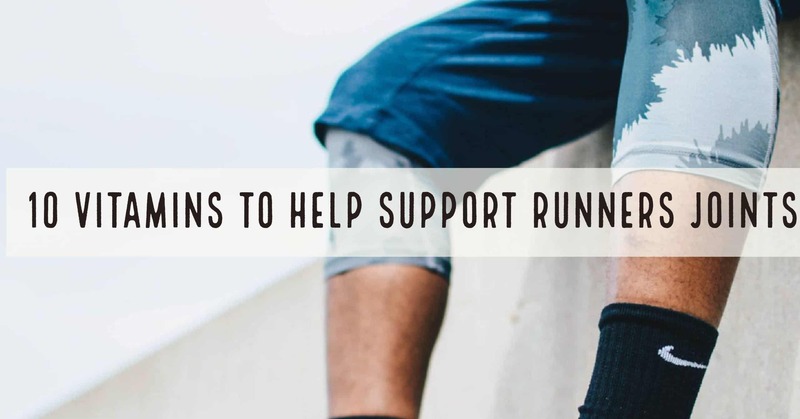 Although the body has glucosamine, runners take the supplement to boost cartilage formation and prevent damaged cartilage. Glucosamine also relieves or decreases muscle soreness. Glucosamine has anti-inflammatory properties, and muscle pain stems from inflammation. Runners are prone to the “run-down” look (literally and pun intended) if they lack protein. The role of whey protein is obvious: it gives an abundance of protein. Whey is 90% protein, and it comes from, “the liquid leftover from cheese production,” according to a Livestrong article titled Running and whey protein. It not only contains protein; it also has essential amino acids in order to speed up the nutrient absorption for muscles. Whey protein also helps with recovery in conjunction with carbohydrates. The two combined together supplies glucose and protein in order for the body to fully recover from an extensive workout. Like magnesium, zinc is a vital mineral for the body. It is essential to muscle healing, immunity, and protein absorption. Zinc is a crucial mineral for runners because it develops strong muscles. Those strong muscles are needs for sprints, short bursts of speed, and enduring a consistent speed for long runs. There you have it.. the 10 best vitamins to help support runners joints. As a reminder, be sure to contact you doctor before taking these.